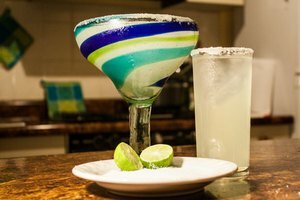 When you order a margarita at most bars and restaurants, there's a good chance it will be made with a Jose Cuervo product, either the tequila, the margarita mix, or both. Jose Cuervo is one of the most well-known and best-selling brands of tequila and tequila-related products in the world, according to website Tequila.net. The company was named after the real Jose Cuervo, who created the first tequila in 1795 in the town of Tequila, Mexico. To save time when making margaritas, many bars and home bartenders use the Jose Cuervo margarita mix. Pour salt on a plate. Spread out so on the plate wider than the rim of the glass you are using. Rub a lime wedge along the rim of the glass, then press the glass into the salt. Add 1 oz of tequila to a cocktail shaker followed by 3 oz of Jose Cuervo Margarita Mix, and a cup of ice. Shake well. 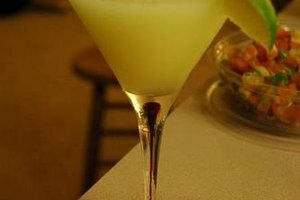 Strain the mixture into the salt-rimmed margarita glass filled with ice, and serve. 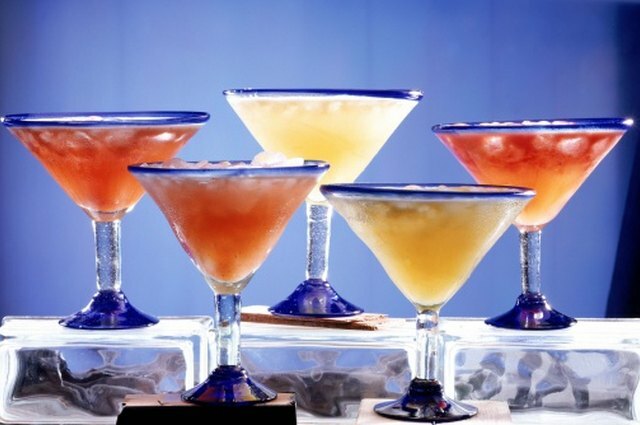 For frozen margaritas, place all the ingredients in a blender and blend until smooth.